We are proud to introduce you to the Orchant Seleccion Oliva Cigars that has been launched exclusively to C.Gars Ltd, Turmeaus Tobacconist and Robert Graham stores across the UK. 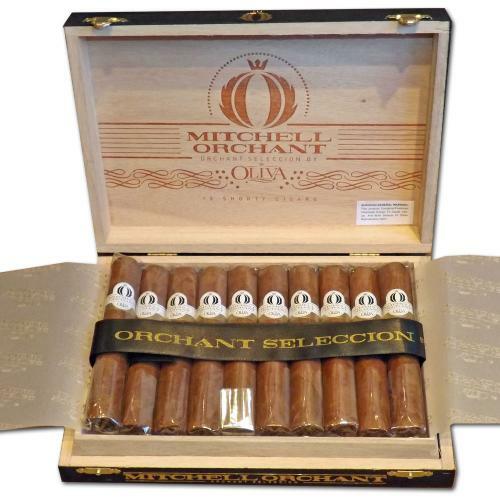 This cigar is the result of collaboration between Mitchell Orchant, Tor Imports and Oliva to produce a uniquely blended Oliva cigar tailored to meet Mitchell's high standards and the UK cigar smokers palate; all at affordable prices! Oliva V Melanio Figuarado - Awarded the No. 1 Cigar of the Year by the Cigar Aficionado blind test panel. Oliva V Melanio Double Toro - Ranked No. 5 Cigar of 2014 by the Cigar Journal. 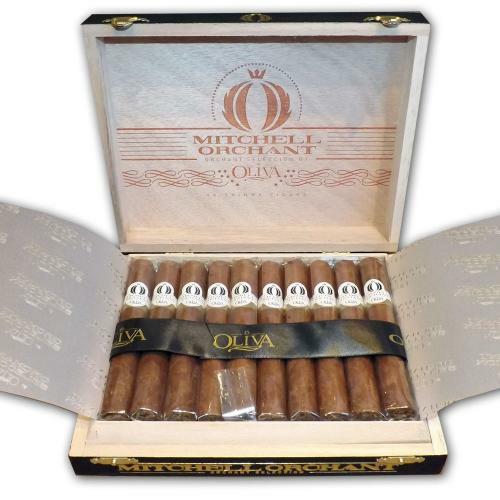 Oliva Brand - UK Cigar Producer of the Year in 2014 by the Spectator Cigar Awards in November in London. The cigars are boxed in 10's and blend consists of an Ecuadorian Sumatra wrapper, with a Nicaraguan filler and binder. Introducing an element of humour in the names. The RRPs reflect our mission of producing the highest quality cigars for our customers at affordable pricing. Business was tough in those days, and Oliva struggled. Faced with dwindling reserves of cash, in a cost-cutting move they turned to Gilberto Sr.'s robust stocks of Nicaraguan tobacco, which changed the flavour profile of Oliva cigars at a time when the interest in Nicaraguan flavour was increasing. Nicaraguan tobacco helped Oliva survive. The cigar that brought it to the attention of connoisseurs debuted in 2006: Oliva Serie V. Made by a small group of rollers and blended for strength and style, the Serie V line was an immediate hit. In 2012, to pay tribute to the first man in the family to grow cigar tobacco, Oliva added the Melanio version, which is distinguished from the original by its Sumatra-seed wrapper grown in Ecuador. The No1 Cigar of the Year 2014, Oliva Serie V Melanio Figuarado has rich, big notes of leather framed by a range of coffee, caramel and woody intonations. It's a classic smoke.